From relative unknown to movie star and, now, hunk du jour, all thanks to his star turn in Jack Neo's local box-office smash hit, Ah Boys to Men. For Joshua Tan, who recently beat 49 other contestants to win Cleo Magazine’s 50 Most Eligible Bachelors competition last week, it's been all a bit of a blur -- such was the speed in which fame hit. 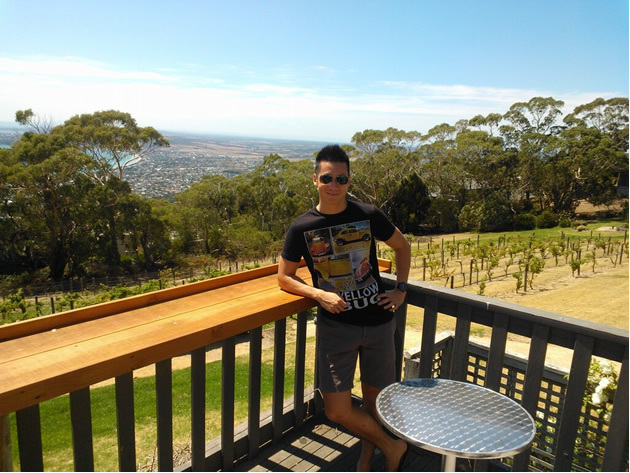 For now though, Joshua is content to shy away from the spotlight for a bit and settle into life as an undergraduate in Melbourne, where he's currently studying for a Bachelor of Arts degree in Monash University. “I think some time away from the spotlight is a great time to sit down and take stock of my life, and how much it has changed over the past eight months. I quite enjoy the freedom of not being recognized by the locals and not being self conscious all the time,” the 22-year-old told Yahoo! Singapore via email. "That being said, I do miss my fans immensely," he added. Spoken like a true pro. Born in Melbourne, the Australian citizen come Singapore Permanent Resident shot to fame as pampered recruit Ken Chow, the main protagonist in Jack Neo's two-part movie on National Service. Part 1 has garnered more than S$6.2 million at the box-office, while the sequel has since grossed S$7.83 million as of late last week, making them the highest-grossing local movies of all time. The success of both movies has since persuaded director Neo to announce plans for a third installment of the box-office winners. While Tan initially thought the decision was a risky one, simply “because originally, the plan was for it to be a two-parter”, he said Neo's "creative genius" would make the third part work. “I feel that there is indeed a whole lot more to NS than just BMT. He is such a creative genius that I am sure that he has dozens of interesting ideas for part three, so I have full confidence in him,” said the actor/student and also part-time model. While he has not been contacted yet for the sequel, Tan said he is "most definitely" up to reprise his role if he is approached and that he will have no problems dividing his time between his studies and his foreseeable filming schedule. “Right now, the arrangement is that whenever I have holidays – one month in June and three months from November to February – hopefully I can work. But, the scheduling can be tricky as not every production will fit my timing nicely, so I guess I am letting it go and leaving it to God to decide,” he said. Would he jump at the chance of filming another scene buck naked (from a scene in the first part of ABTM)? “That was the craziest thing I think I will ever do!” he said. 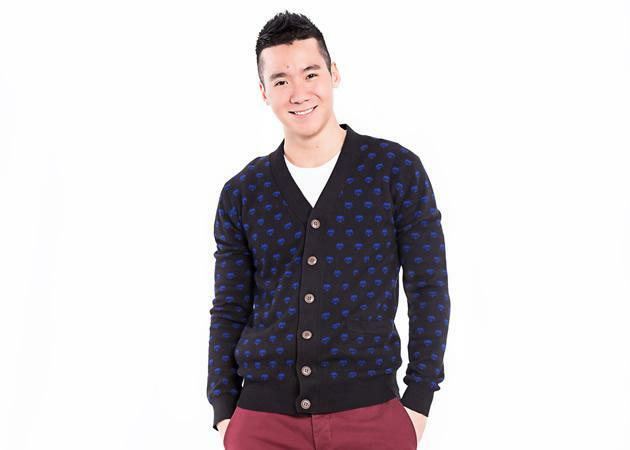 The success of ABTM has now motivated Joshua to further his passion of acting into a career. Tan has scored a role in HBO Asia's upcoming drama Serangoon Road. “I told my parents that after these 2 movies, I would have a better idea if I was sure that this was what I wanted. And yes, I am sure, and thankfully they approve as well. They were a bit skeptical at first, but after watching both movies, they now believe that maybe their son has a tiny bit of talent,” he joked. When Joshua is not acting or studying, he is often tweeting and blogging and his social media accounts have amassed more than 20,000 Twitter followers and 15,000 Facebook likes. Careful now that hordes of teen fans stalk his every word, Joshua admitted he is still trying to work out a balance with his views online. “Obviously, I am very self conscious about what I say and how I behave. It is tough to maintain, but there are tremendous benefits as well," said Tan, who (sorry, girls!) is currently in a long-distance relationship with another student for the last two years. "I do have a few causes I believe in, but there is a fine line between saying what you believe in and being accused of forcing your ideals on young, easily impressionable youngsters,” he added. What about dealing with fan mobs, especially now that the 1.75-metre hunk is Singapore's hottest bachelor? Revealing that he learnt “a scary lesson” at the last fan meet for Ah Boys To Men at Bugis+, he said he's learnt to "obey instructions" when it comes to fan meet-ups. “About 1,500 fans showed up. Ridhwan (fellow co-star) and I showed up by another entrance which we weren't supposed to. Once a group of girls spotted us, their screams alerted others and soon, we couldn't move!” he said.